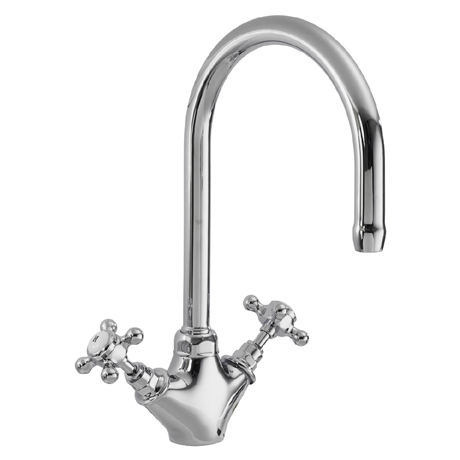 The Traditional Mono Sink Mixer Taps in Chrome fitted, a high arched swivel spout and cross head handles, which will complement beautifully a traditional kitchen. Minimum operating pressure of 0. 1 bar is recommended for best performance. Q. Dimension of the base? Q. hat is thr min operating pressure for this tap please? "Good quality tap, easy to assemble and fit." "Good quality and price, would recommend." A quality item at a reasonable price.